Disposable - great for easy cleanup! 5 Oz. Clear Plastic Flute Glasses - 12 Ct.
5 Oz. Clear Plastic Flute Glasses - 4 Ct. These stunning 6 oz. 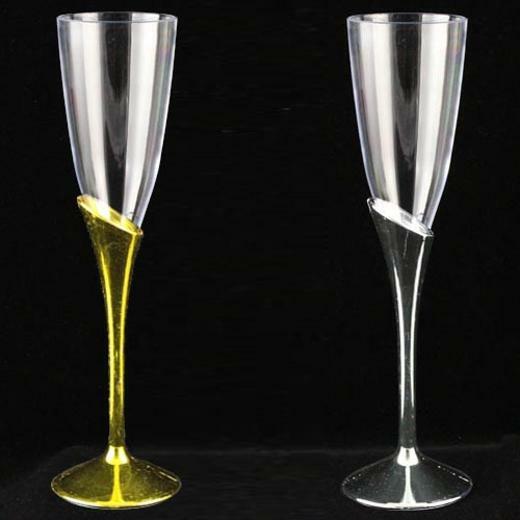 plastic toasting flutes are a great way to make a statement while raising a toast. Available in packs of 2 or 12, our 6 oz. plastic toasting flutes are the perfect addition to any wedding, retirement party, or other formal event. Perfect for the drinks and appetizer party we had. We shall order again in different colors.